M.P.Jain & Company are Topmost Stainless Steel Tubes suppliers Located in India. These Stainless Steel Pipes & Tubes are available in ERW (Welded), Semi Seamless & Seamless make. We offer them Including PVC or Without PVC, which depends on the requirements of our Client’s. Welded Stainless Steel Tubes and Seamless Steel Tubes manufactured by us areas given below. These Seamless Steel Tubes are preferred for their High Heat Resistant, Corrosion Resistant and High Impact Strength. 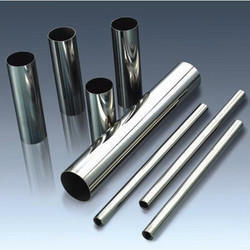 We are Prominent Suppliers of these Stainless Steel Tubes in Heat Exchanger, Surgical, Penal, Pressure Gauge Industries. Stainless steel pipe has many remarkable attributes including corrosion resistance, high strength, durability, and machine ability. We can also fabricate these products on the basis of special industrial requirement of our clients. M.P.Jain & Company first motive is Customer Satisfaction & main objective service and most importantly understanding the customer’s need. Our ability to provide top class supplier performance makes us the best choice for all your requirements. Every employee is dedicated toward this aim and every measure and care is taken to ensure production of superior products, timely delivery, competent price, quality packaging and excellent after sales service. Over these years of our inception, we have grown into a highly established brand and serve a long list of customers from domestic as well as international markets. Today majority of our revenues come from our overseas exports to clients in Middle East, Australia, Egypt, Africa, Far- East, Europe and so on. Duplex Steel Pipes, which are known for their durability and corrosion resistance. Our range of duplex seamless pipe are available in various specifications, shapes and sizes. Designed with precision, these pipes are used for various industrial and commercial purposes. Owing to our expertise in this field, we are also capable to meet the customized requirements of our clients. 04) Each pipe length: As per your requirement. Applications hydraulic cylinders, rollers, structural apps, truck and automotive parts. MPJC an ISO 90012009 certified company. We are manufacture and exporter of SeamlessTubes. 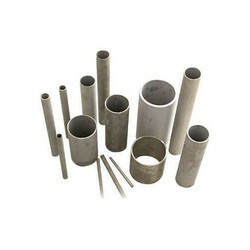 These tubes are developed with the help of top notch and reliable technology and are offered in various forms like round, square, rectangular, coil and 'u' shape. Grade 201, 202, 301, 302, 303, 304L, 304H, 309S, 309H, 310S, 316, 316L, 317, 317L, 321, 446, 904, 904L etc. BS1387,API 5L, GB13296-1992; GB14976-2002; GB14975-2002; ASTM A269; A270; A312; JIS G3446; G3463; G3467,etc. 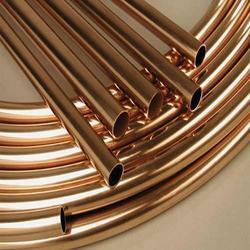 Cupro Nickel tubes & pipes for Marine application are very important for all Industrial fields. The company has experience in these areas and is able to supply these tubes in accordance with most international standards and special customer requirements. This alloy has very high erosion and corrosion resistance. It has very high weld ability, easy for installation and high anti fouling properties against sea microorganisms. Relatively high iron content provides better impingement attack resistance. The alloy is unique to stress corrosion cracking. 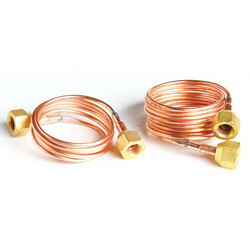 This form of copper alloy gives the best service life under the most adverse conditions.